Academic Affairs plays a leading role in ensuring that students have access to services, programs, and activities that promote holistic learning in and outside the classroom. Under the guidance of the Assistant Vice-President for Academic Student Engagement, Dr. German Vargas, the Office of Academic Affairs is committed to assist students in accessing campus resources and services that will increase their likelihood of making a smooth transition to college and achieving academic and personal success. Ultimately, the goal is to produce graduates who have maximized their growth and potential while in school and are fully prepared to be valuable contributing members of society. The Center enhances the opportunities for students to achieve academic excellence and personal growth by providing a supportive environment that encourages students to reach their maximum potential. 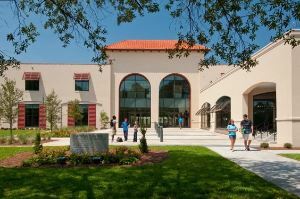 The programs and services of the Center support the academic integration of students into the College community and promote independent learning. Among the services offered are individual and small group tutoring facilitated by peer tutors, and Supplemental Instruction is offered for designated courses. Center tutors also conduct basic computer skills workshops. In keeping with the institution's mission to foster academic excellence and individual development in a supportive environment, the College of Coastal Georgia recognizes academic advising as a critical component of the educational experience and is committed to providing quality advisement. We strive to empower our students to develop and implement sound academic plans that are consistent with their personal values, educational goals, and career plans. Our goal is academic progress and achievement that leads to degree completion. The Dual Enrollment program provides for students who are dual credit enrolled at a participating eligible public or private high school, or home study program in Georgia, and a participating eligible postsecondary institution in Georgia. These students take postsecondary coursework for credit towards both high school graduation or home study completion and postsecondary requirements. Beginning with Fall term 2015 (FY 2016) the program is offered during all terms of the school year; fall, spring and summer semester or fall, winter, spring, and summer quarter. The College has infused a service-learning component in both core curriculum and baccalaureate degree programs that is coordinated through the Center for Service-Learning. This effort, a partnership between Student Affairs and Academic Affairs, focuses on creating opportunities for students to move from exploration as a first or second year student into meaningful internships as a junior or senior level student. Through service-learning participation, students are engaged early in structured off-campus experiences in all sectors of the community that are connected to their potential major area of study or general education course. These experiences provide the foundation for upper level, for-credit internships at various community venues and help the College’s students understand the value of giving back. The Student Support Services program is a federally funded educational opportunity TRiO program, which provides academic support for students (1) who come from low-income families (defined by Federal government guidelines); (2) who are defined as first-generation (neither of the students’ parents or guardians has received a four-year degree); or (3) who have documented disabilities that can adversely affect student class performance or attendance as well as learning disabilities. Support is provided through activities that encourage academic development, assist with College requirements, and motivate students. The Writing Center provides one-on-one in-depth writing coaching for students, faculty, and staff at the College of Coastal Georgia. During our coaching sessions, we work on developing writing skills by teaching writers about patterns of errors, expectations in writing styles, and what it means to be a writer at the college level.